Recently I’ve been building out my arsenal of virtual machines. 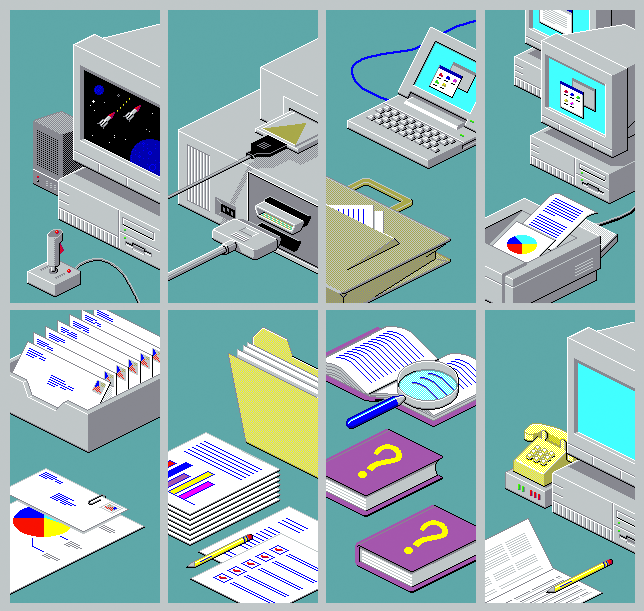 I simply couldn’t help but admire the illustrations that the various Windows 95 & 98 installers and wizards display. Good stuff. Everyone needs an arsenal of virtual machines. To know thy past UI is to know thyself. i don’t, i have an arsenal of various Thinkpads instead.